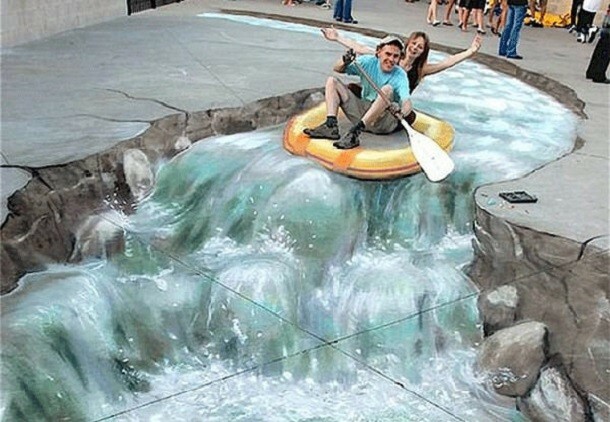 White water rafting is very entertaining 3d street art. For flow of white water artist create path along the street. Artist also includes raft on which both man and woman sitting on it and float along water with help of oar. In fact artist sketch the man and woman on the street sitting in the raft and provide fun for the viewers.